iBottleLess™ water coolers and filters offer the best in water purification; ensuring you’re drinking the best possible water… down to the last drop. Check out our options below. 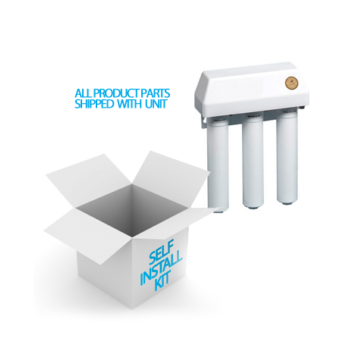 Our easy-installation Micron Filtration is not only user-friendly, it’s also effective in removing harmful contaminants including chlorine, lead, cysts, and other chemicals and impurities that can leave a bad odor or taste in your drinking water. But, it also leaves behind essential minerals that are beneficial to your overall health. iBottleLess also offers a Reverse Osmosis system; perfect for those homes or businesses located in municipalities that have high concentrations of salt in the water supply. FREE with your new purchase of any iBottleLess™ water cooler, our micron carbon filtration system uses a 2-step process to ensure that your water is clean, thirst-quenching, and ready for use in your home or office. The first step removes sediment such as traces of plastic or sand, particles too big to pass through carbon. The second step utilizes the adsorption process of carbon, eliminating contaminants such as chlorine, lead, and pesticides. To maintain the highest quality water your bottle-less water cooler can provide, your filter should be replaced every 6-8 months or every 1200 gallons, whichever comes first. 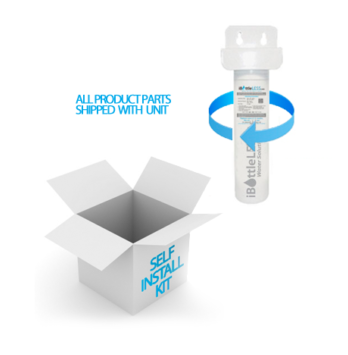 When initially purchasing your bottle-free water cooler from iBottleLess™, getting an extra filter replacement up front will save you time & money later. To ensure the highest water quality possible, iBottleLess™ Water Solutions also offers a 4-stage reverse osmosis purification system. The first stage filters particles that are 20x smaller than a grain of sand. The second stage improves the taste and purity by removing chlorine, lead and other potentially harmful contaminants from your water. The third stage pressure-forces water through tiny pores in the filter membrane, eliminating 93-97% of additional impurities. Finally, the fourth stage is designed to further enhance and clarify water so it tastes crisp and fresh. This is the same process used by many major brands of bottled water such as AquaFina™ and Dasani™. Replace reverse osmosis filters about once a year to continue drinking fresh & delicious water all year round! Start Drinking Purer, Safer Water! Make the switch to iBottleLess™ water coolers today!